Here are several paintings from January. 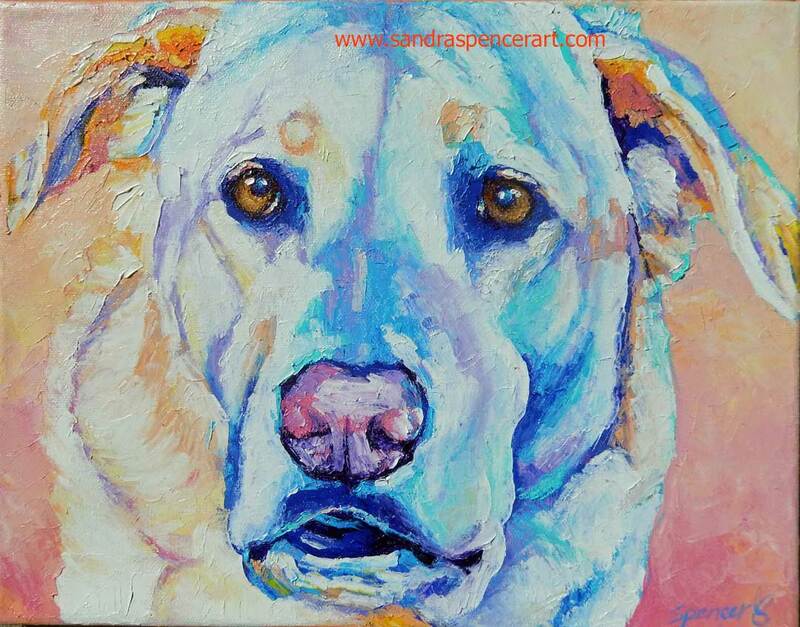 This beautiful girl passed away, and is a present for the owner. I hope she likes it. This is a gift, too. I think I’ve painted only a handful of King Charles Spaniels. This one I started out with gray/brown in mind, and then it went the other way. Completely, wildly, the other way. And a sweet little guy. Those eyes just get you. Firstly, this one is for sale. 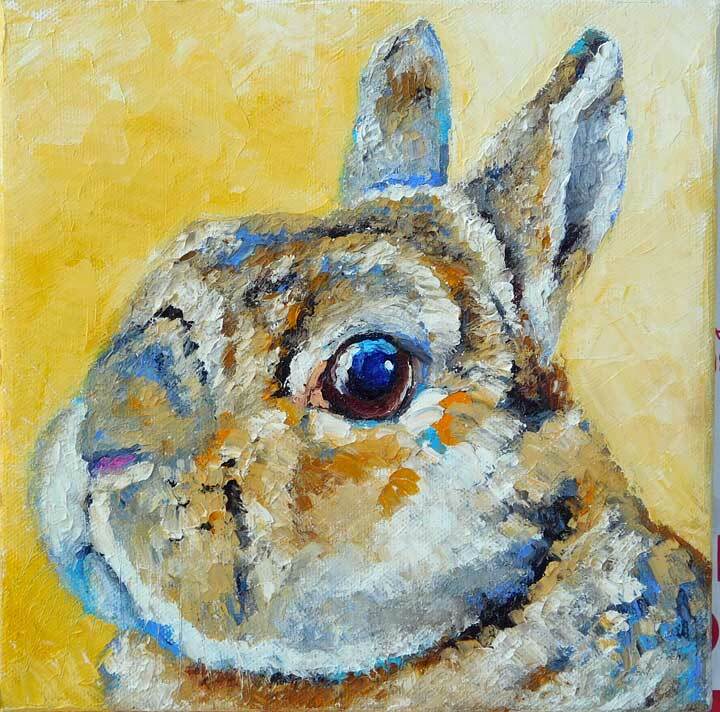 The bunny was a request, and is sold already. 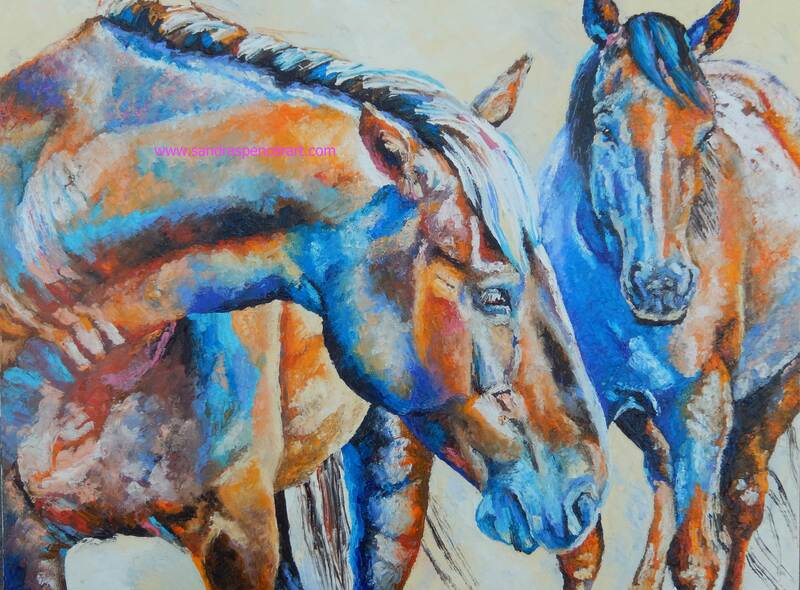 It’s not too late to ask me to paint for Christmas, there is still plenty of time. 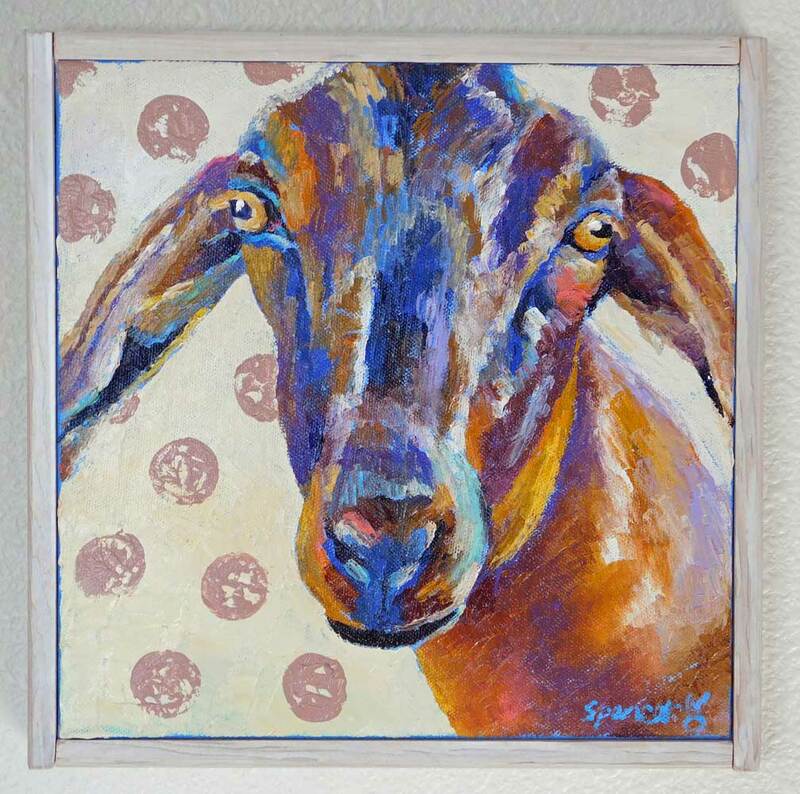 Dotty Goat, 10″x10″ oil on stretched canvas, framed in white-washed hemlock. Available here. This is a Lab who was at the park a little while ago. His owner was working on his boat a distance away, and this dog just couldn’t stand being separated. 11″x14″, also available in my etsy shop :).